Each year, Black History Month provokes a puzzled response from many people. From some: why are we talking about black history, not simply history? From others: why are we talking about black history for just one month, rather than every month? Last year, my Ministry of Justice (MOJ) colleagues Liz Yentumi and Rob Neil and I chatted about this. You can hear our conversation here. I thought about all that as I went round Tate Modern’s current exhibition, Soul of a Nation: Art in the Age of Black Power, covering the two decades from 1963. I wondered why so much of the work in the show is missing from the standard story of art from that period. Art history turns out, in the default, to be white art history. If nothing else, Black History Month is a gentle reminder that race (and race inequality) is more present, in more situations, than we might think or might like to admit. Just last month, we had a starker reminder of the same point when David Lammy MP published his report into the treatment of, and outcomes in the criminal justice system for, individuals from ethnic minorities. It makes compelling and uncomfortable reading. You’ll read a government response to the Lammy Review report before long, and I won’t pre-empt that. Instead I want to make two links to the work we are doing to improve representation and race equality in the Civil Service. First, Lammy points out the connection between the diversity of those of us who work in public service and both the quality and the equality of the outcomes we deliver. We sometimes call this the business case for diversity. In the Civil Service Diversity and Inclusion Strategy, which we published this week, there’s a strong emphasis on the business case. But to my mind, it isn’t enough for a department or organisation simply to recite a centrally constructed form of words. Each should articulate and adopt a business case that makes sense in its particular organisational context. The business cases for a diverse workforce in HM Prison and Probation Service, in the Secret Intelligence Service, and in Defra (to take three random examples) will look distinct, as well as sharing common features. Second, Lammy reminds us that where there is an apparent discrepancy in outcomes for different groups, we should not immediately conclude that conscious bias must be at play. But nor should we be in denial. The sort of bias that comes attached to deeply entrenched attitudes and assumptions is sometimes hard to acknowledge and hard to shift. We should be open in our exploration of the possibility that it exists, and eager to find ways of tackling it. The progress towards a truly diverse Civil Service has been patchy, certainly in terms of race. Ethnic minority representation in the service overall now nearly matches the UK's economically active population. There have been increases at every grade, with 18% of new civil servants in 2016-17 belonging to an ethnic minority. We’re beginning to see a strongly diverse pipeline. But in the Senior Civil Service (SCS), the number has only edged forward, now standing at around 4.6%. That’s the highest ever! But it’s still low. There are fewer than 5 individuals at director-general level who would describe themselves as from an ethnic minority, and no Permanent Secretaries. The Civil Service Diversity and Inclusion Strategy recognises that we need to accelerate and intensify our efforts. So a new programme will have an explicit focus on dealing with the persistent underrepresentation of staff from ethnic minorities in the SCS and will set out our plans for action and measurement of progress. We will adopt targets (for the first time) for the flow of colleagues from ethnic minorities into our most senior grades. We will demand more of executive search and recruitment. We will continue our drive to identifying and nurturing talent and potential at all grades. Show leadership, at whatever level. Listen to your ethnic minority colleagues and to the staff networks. What’s the culture like in your department or agency? Are you an organisation where all your staff feel confident to be themselves? Know and nurture all your talent. Don’t accept the advice of any recruitment team (internal or commercial) that tells you a shortlist lacks diversity because “I’m afraid the sector is very white”. If you want an organisation where all your staff feel confident to be themselves, why has there been no engagement with members of the Civil Service before the publication of the Diversity and Inclusion Strategy? The clue is in 'Inclusion' and the fact it was published 2 weeks into the Survey period means that some can't comment on it now if they've already responded to the Survey. Hi Mark, thanks for your comment. The D&I Team tell us: "It is clear from the responses to the publication of the Civil Service Diversity & Inclusion Strategy that there is a range of views about what is meant by both diversity and inclusion, and that these views are dependent on individual circumstances. Understanding this is important to us, which is why we engaged heavily with civil servants during the development of the strategy. We consulted with staff networks throughout - creating an Employee Voice Group, giving networks a real say in shaping the strategy; we held workshops at Civil Service Live events during the summer; and we sought the views of staff across the country through Civil Service Local. 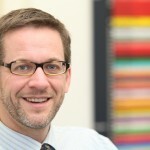 We will continue to engage with staff as we move to implement the strategy." 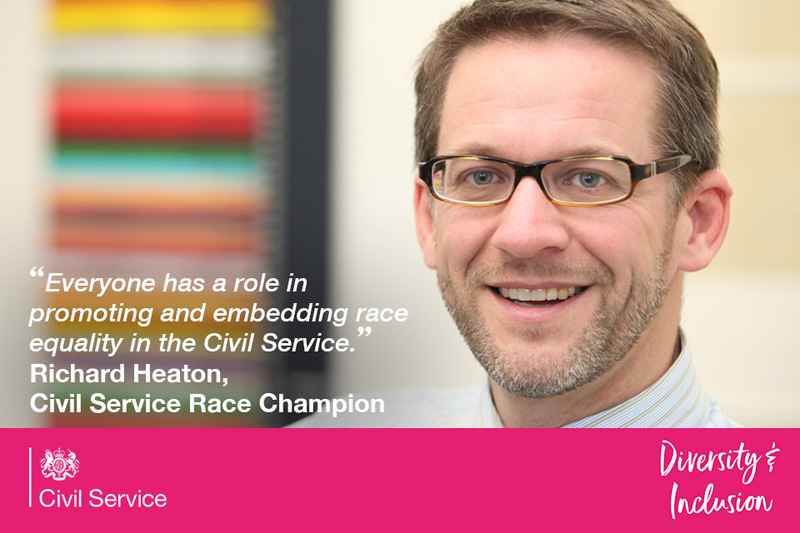 Richard, Thank you for your continued support as the Civil Service Race Champion. I have to say that I have been with the Organisation over a number of years and I feel that there has been a significant change in respect of Diversity and Inclusion concerning BAME colleagues, for which you and the various Staff Associations should be commended. However, if we are being honest there is still much more that needs to be done before we have a structure from top to bottom that is representative of the diverse make up of the UK. Whilst I would agree with that much has been done to address the issue concerning unconscious bias, the disappointing fact is that there are still some members of staff who continue to be bias in the way in which they interact or report on the performance of their colleagues and yet seem totally oblivious to the impact that their behaviour is having on them. Finally, you may also recall a UN event promoting the elimination of racial discrimination that was hosted at Portcullis in London some time ago. Those who attended highlighted their disappointment over the noticeable absence of non BAME Senior Management at the event. It was said that the time, that if we are going to make a significant difference and achieve change, then we can only hope to do so with visible support from our Senior Leadership. I hope that this is an area that you have been able to work on and sought a greater level of engagement. Hi Gavin. Thanks for your comment. I’m sorry to hear that you have come across bias in this way. Please don’t be disheartened - the Civil Service leadership is clear about the importance of race equality, and in each department there are leaders and networks determined to improve things. If you’d like to let me know your department, I’d be happy to raise the issue with your board level race champion. As for senior management at race events, I know what you mean. Race equality is for everyone. I do think that senior buy-in is better than it was but there is still a way to go.